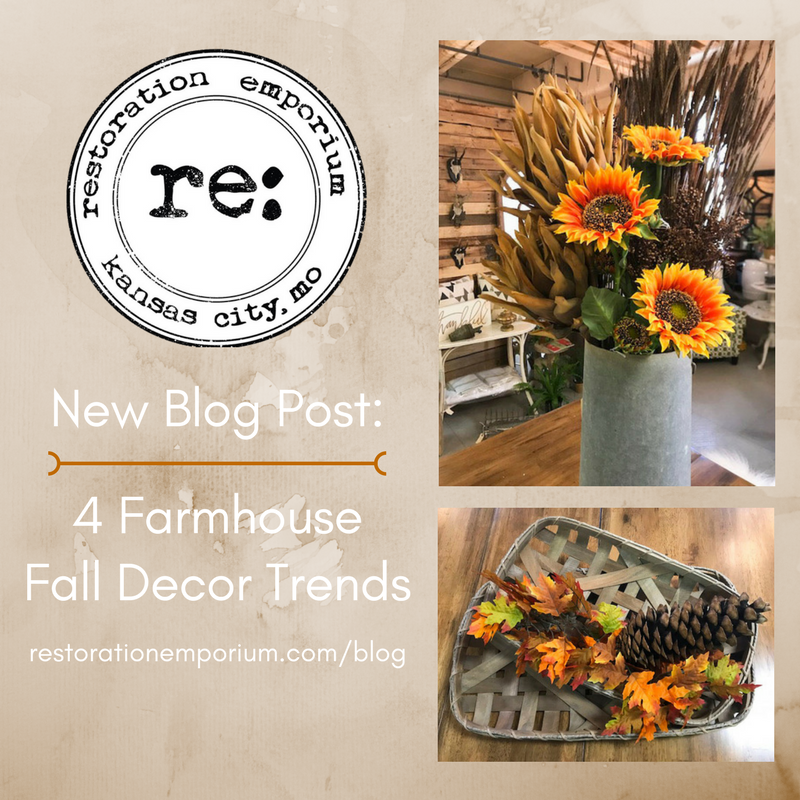 The oranges, yellows and browns of fall foliage are so beautiful we can't help but want to decorate our whole home with them instead of just seeing them outside on the trees. We have different kinds and colors of leaves at all three of our locations and can help you find the perfect bucket or vase for your arrangement. Pumpkins are essential for fall whether they are real or just a decoration! Find the perfect color to match your own decor like a gray, white or even a light blue and paint some foam ones or some from the pumpkin patch. When you're starting to decorate for fall don't forget about Thanksgiving! At our West Bottoms and Country Club Plaza locations, we have signs that are perfect for the fall season and even some that will work with your decor year-round. One of the latest trends with farmhouse decor is tobacco baskets. Use them on your wall with a seasonal wreath, a centerpiece with your painted pumpkins and some foliage or if they are small enough then use them in your place settings.